Alhassan Kamara stands 180cm high and thus is about the same height as his team on average. Born on March 16, 1993, Alhassan Kamara's age of 26 exceeds his team's mean. 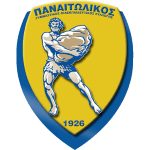 These days, his team Panaitolikos comes seventh place in Super League (Greece) plus third place in group Gr. 3 of Greece Cup (Greece). He was used in 29 of the matches in the present term. Throughout his professional career, Alhassan Kamara participated in 119 games, the last appearance being 118 days ago. Throughout his time as professional football player, he was sanctioned with a card 20 times resulting in a mean value of 1.54 cards per play time. This season he was given four yellow cards. 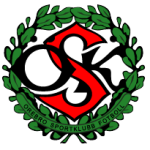 Two years and 6 months was the maximum period he ever played in a team, which is Orebro SK (Sweden). The briefest time Alhassan Kamara's spent on a team counts seven months in his present club. At 178.57lb, he carries 18lb more than the average Panaitolikos player. He played for five other professional teams. Alhassan Kamara's squad lost 60% (40% home) in Super League and concluded in a tie in 67% (0% home) in Greece Cup. Therefore they lost all of their recent matches. This season he scored six and assisted two goals which is 12.5% of all of Panaitolikos's goals in Super League 18/19 (Greece). On average, he initialized 0.07 and hit the net 0.21 times per match this season which is a worse performance than last year's. Back then 0.42 goals and 0 assists per match have been achieved. After an overall look at his career, we can see that he was substituted in 44 times but never out. In the active season, he came into the park more often in contrast to 2017/2018 wherein the contrary happened. 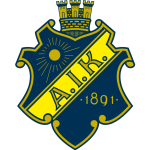 Allsvenskan 2014 (Sweden) has been Alhassan Kamara's best season so far since he scored his personal highest amount of goals. Panaitolikos has four more forwards in their squad, namely Admir Bajrovic, Vlad Morar, Stathis Vasiloudis and Nicolas Mana. 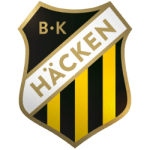 He was contracted to a few clubs during his professional career, one of them being BK Hacken, for whom he played before coming to Greece. Panaitolikos'' number 93 is Alhassan Kamara. 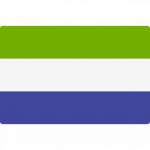 Besides playing for Panaitolikos, Alhassan Kamara additionally is a member of Sierra Leone.